Making attendance tracking a breeze! Struggling with manual data entry for your weekly attendance? Now available as an add-on feature from ClubRunner, the Barcode Scanner Module combined with your ClubRunner website allows you to scan barcodes for your members and uploads the information directly to your site. Integrating with your Attendance Manager, it will keep all your data on your site so you can continue to run your reports as usual. 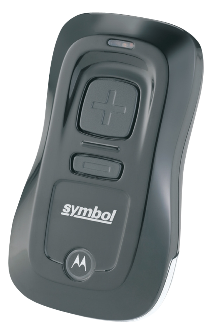 The Barcode Scanner Module uses the Motorola CS3000, a small scanning device, about the size of a pager. Because it's portable and cordless, you don't need to set up a computer or have Internet connection at your meeting venue. Simply bring along the handheld scanner, scan your member badges then take the device back to your office and download to your computer. With ClubRunner's integrated barcode module, your attendance will get uploaded to your website and integrate with your existing records and reports. ClubRunner's Barcode Manager will also print your barcode labels for you! Simply choose the members from your list, and a merged report containing the barcodes and names will be created within Word. Insert the standard Avery label sheets into your printer and you're all set! 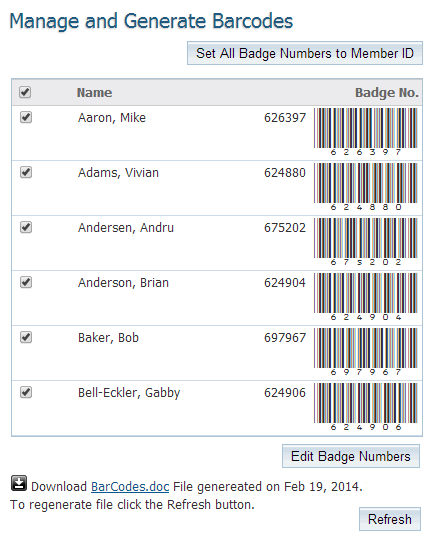 The Barcode Manager can also work with premade barcode labels if this is preferred. Note on labels: The default label type is Avery Standard 3261R or 8527 Return Address label (0.75" height x 2.25" width). *Subject to the setup fee and the Terms and Conditions in the ClubRunner Subscription Agreement. Some restrictions apply. Pricing is available in US Dollars (USD) and in Canadian Dollars (CAD) for Canadian customers only. HST will be applied to subscriptions for Canadian customers only. Download information about the Barcode Scanner Module. Order the Barcode Scanner Module.